It is true. Your skin is the largest organ in your body. Its role and function are vital to your existence. Skin helps regulate body temperature, protects you from the elements and makes the sensation of touch, heat and cold possible. The average adult has approximately 20 square feet of skin. And each person’s skin ranges in levels of sensitivity. 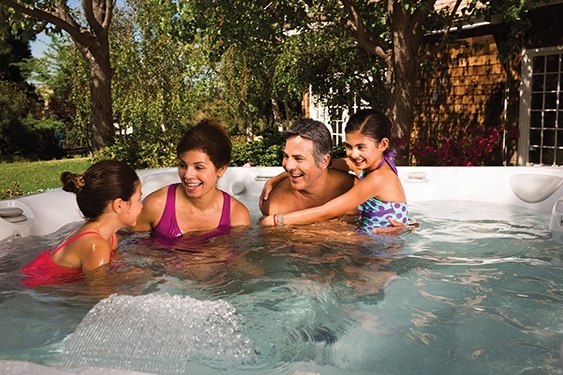 Is your skin sensitivity stopping you from owning a hot tub? It doesn’t have to. 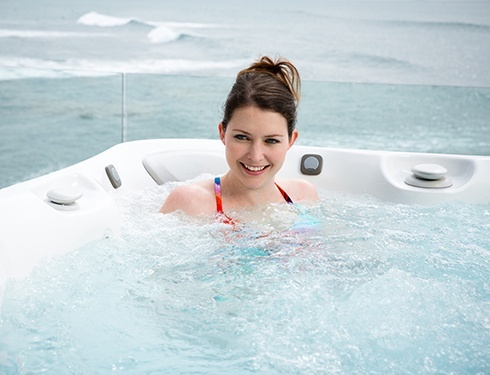 It is important to explore available hot tub water treatment options to alleviate your concerns. There’s no reason to shy away. There is one that is right for you. This is a widely accepted option for sanitizing your hot tub water. Many people are comfortable and have no reaction to chlorine. Like with any hot tub treatment you need to monitor the chlorine levels to ensure crystal clear water. There are hot tub water management systems that use pre-filled cartridges to eliminate the guess work. Minerals can be added via this same type of cartridge or by hand to soften the water. Chlorine sanitizes by oxidizing contaminants and that process can be harsh on your skin. People may be sensitive to the smell of chlorine as well. Always practice safety when handling chlorine and store it in a cool, dry and shaded place. 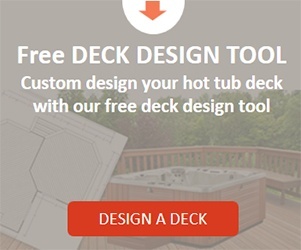 It is important to explore the available water treatment options for your hot tub to alleviate your concerns. Germs and bacteria are ionized during the sanitizing process. Bromine does a good job of sanitizing, killing algae, viruses and other contaminants especially in warm water. The pH is much lower than chlorine which means it is easier on your skin. Bromine can also be delivered via pre-measured cartridges, or in granules. If you want to change from chlorine to bromine you must empty and flush the hot tub system to avoid a potentially dangerous chemical reaction. Choose your hot tub sanitizer wisely and your skin will thank you. For virtually chlorine-free water care you can combine an hot tub ozone system with a non-chlorine oxidizer and minerals. 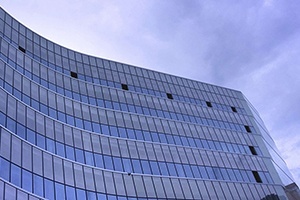 The ozone system generates ozone which is injected into the water to neutralize contaminants. 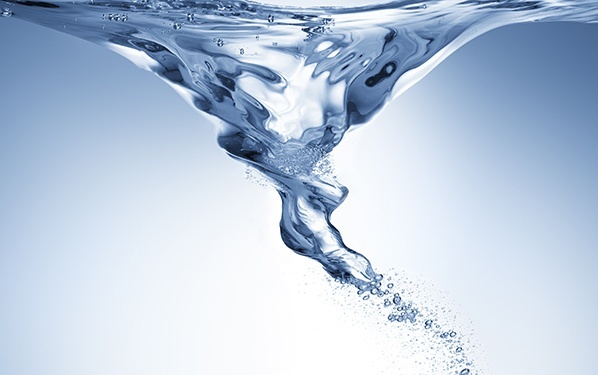 The non-chlorine oxidizer cleans the water and the minerals inhibit bacteria growth. People with sensitive skin will enjoy this option to ensure comfort, and clean, clear water. Ozone, salt water and all-natural hot tub water care methods are gentle on skin. 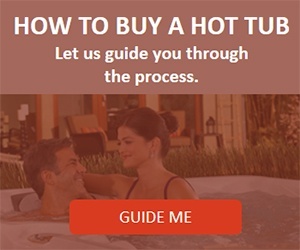 Some hot tub models offer a salt water system. The system uses salt to generate chemically-altered chlorine that won’t dry your skin, irritate your eyes and has no chlorine odor. This system will cost more initially but the ongoing expense and time for water maintenance will be less than the other options. It is much easier to maintain a balance of sanitizers and water chemistry with a salt water system. Your water will actually feel soft against your skin. Happy skin equals happy family. Remember to practice healthy skin care routines especially if you have sensitive skin. Rinse off before and after going in your hot tub. 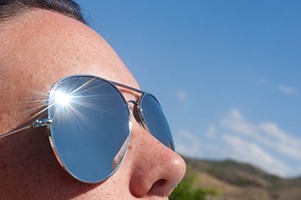 Use a moisturizer that caters to your level of skin sensitivity. Drinking the recommended 8-10 glasses of water per day will help you stay hydrated. Taking good care of your skin will ensure that every inch of your 20 square feet has a fabulous lifetime. One of these hot tub water treatment options will work for most sensitive skin types. 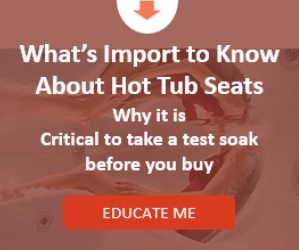 Information is key for addressing concerns that hinder your hot tub purchase. 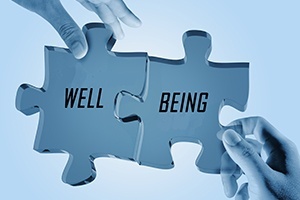 There are viable remedies to meet your needs and build confidence in making a decision. Rest assured you can have the hot tub of your dreams and healthy vibrant skin. Go out and make your dreams come true. Rest assured you can have the hot tub of your dreams and healthy vibrant skin. If you’re already an owner we would love to hear how you accommodate skin sensitivity issues for yourself, your family and friends. 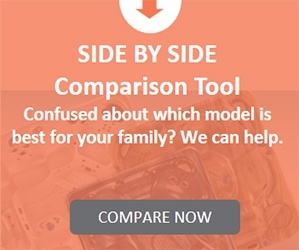 Download a brochure here. At Caldera® Spas we take pride in helping you find ways to “Come to Life®.” We know you’re worth it. Feel Good. Live Well. We’re all in this together.